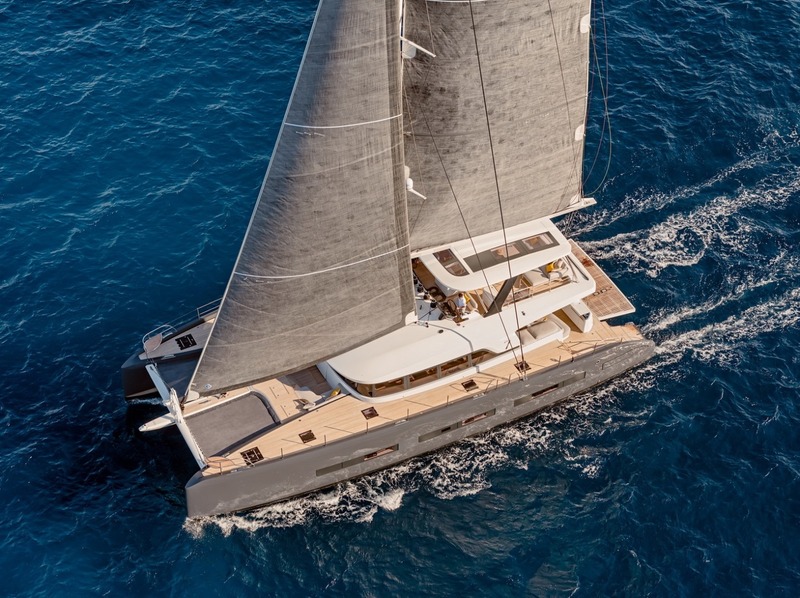 Sailing catamaran JOY is a Lagoon 77 design with the launch in 2018. 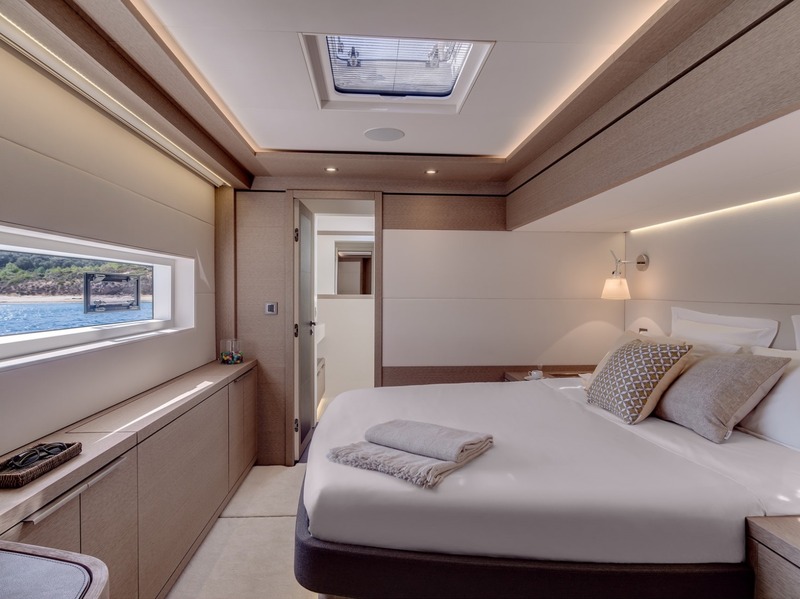 Accommodation aboard the spacious multi-hull is provided in 4 ensuite cabins, for up to 8 charter guests. Van Peteghem-Lauriot Prévost (VPLP) was responsible for her naval architecture, while bespoke Nauta Design worked on the interior. 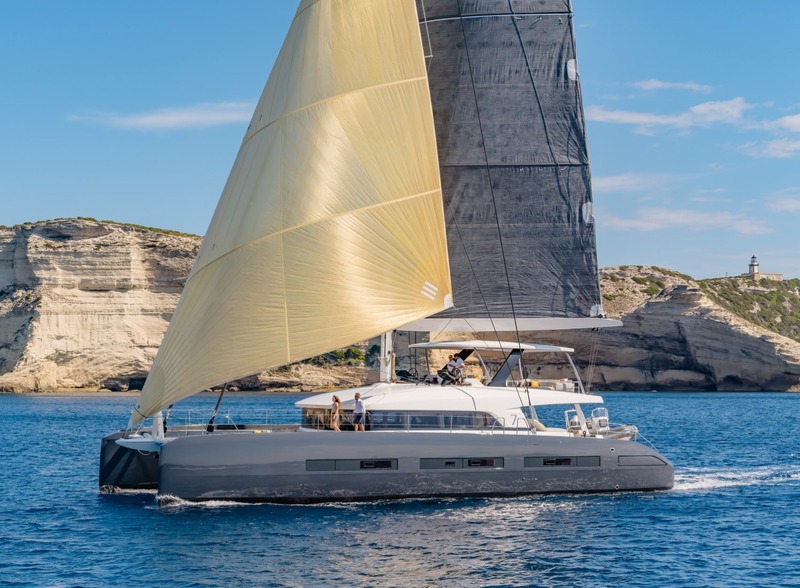 Designed and built by Lagoon Catamarans, 23m/77ft JOY is a stunning sight on the water, with a golden mainsail against an ash-grey hull and white superstructure. 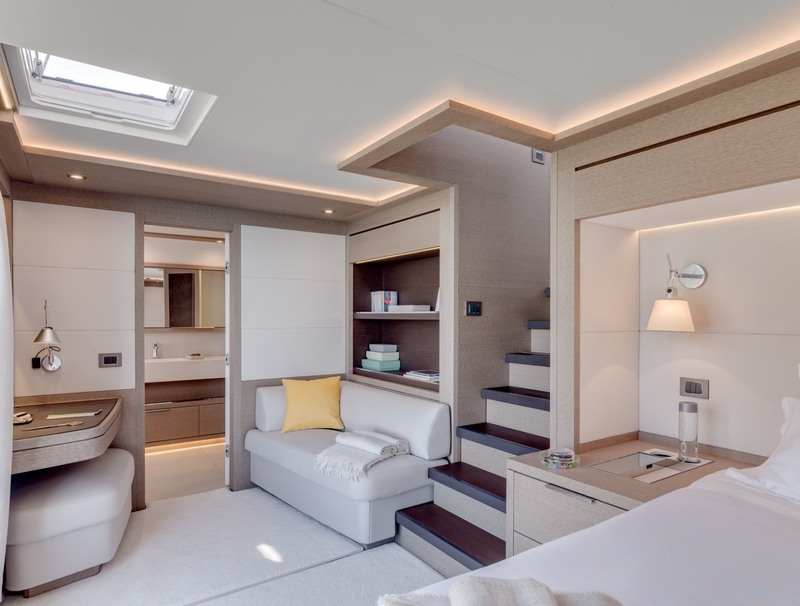 Using a lovely contemporary design and layout, the barriers between interior and exterior spaces are easily removed for guests to connect even better with their surroundings. 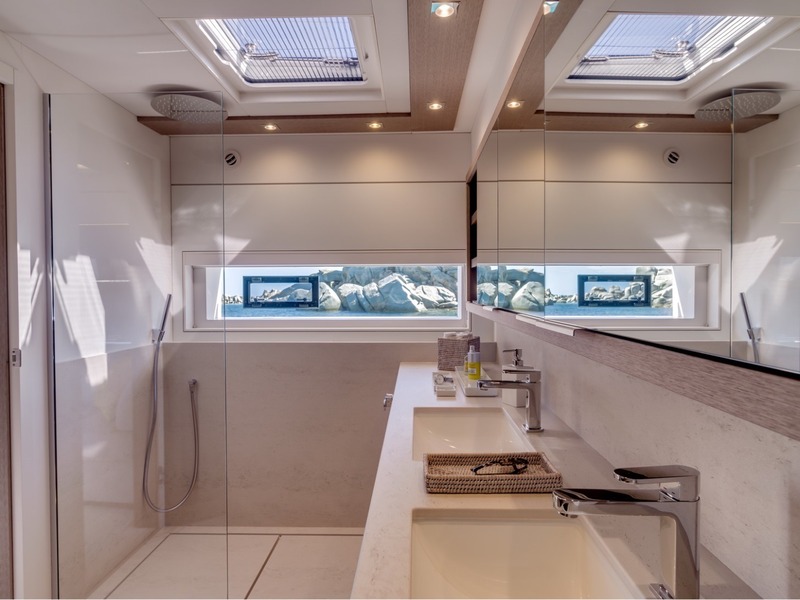 The swim platform provides easy access to the water and the tenders for charter guests looking to go ashore, while the saloon cockpit makes an ideal waiting area and a convivial space for conversation, relaxation and engaging with hobbies. 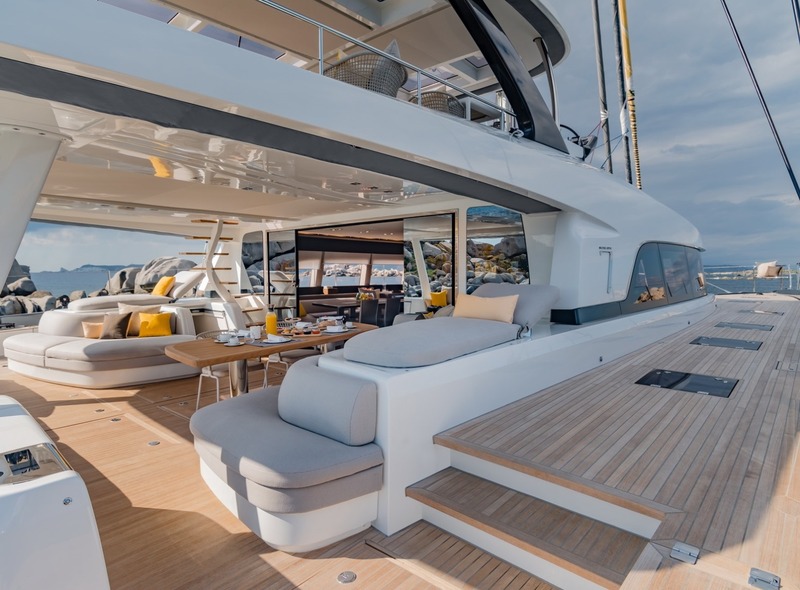 Dine alfresco in the shade, then lie back on the sunpads integrated into the arms, or head to the bow for a snooze in the sunshine. 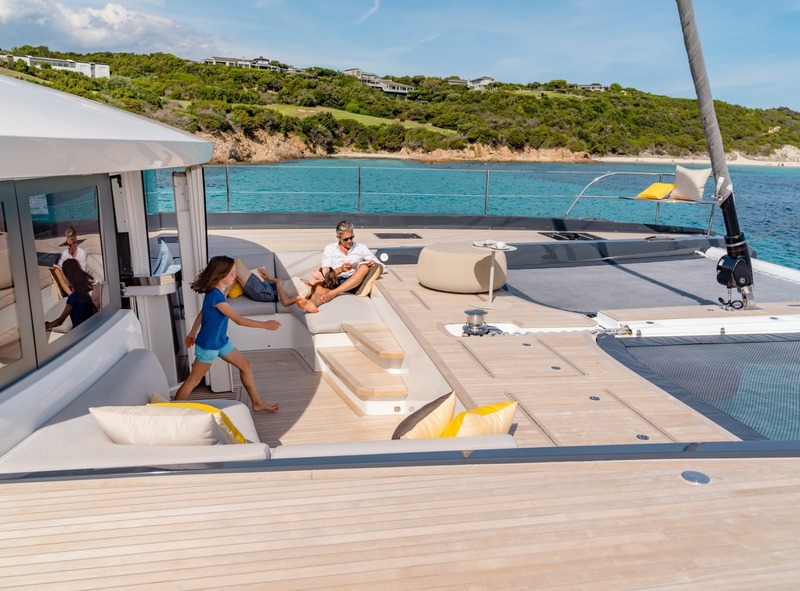 The children will love the trampolines and adults can watch on from the seating integrated into the foredeck cockpit. 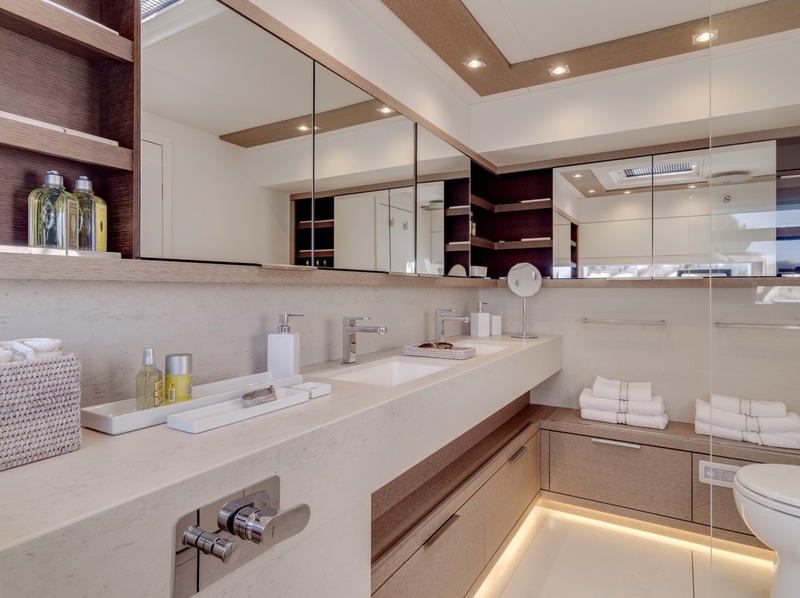 Inside, the open plan salon uses a natural palette for a relaxing, laid-back atmosphere boasting high-quality materials for a polished appearance. 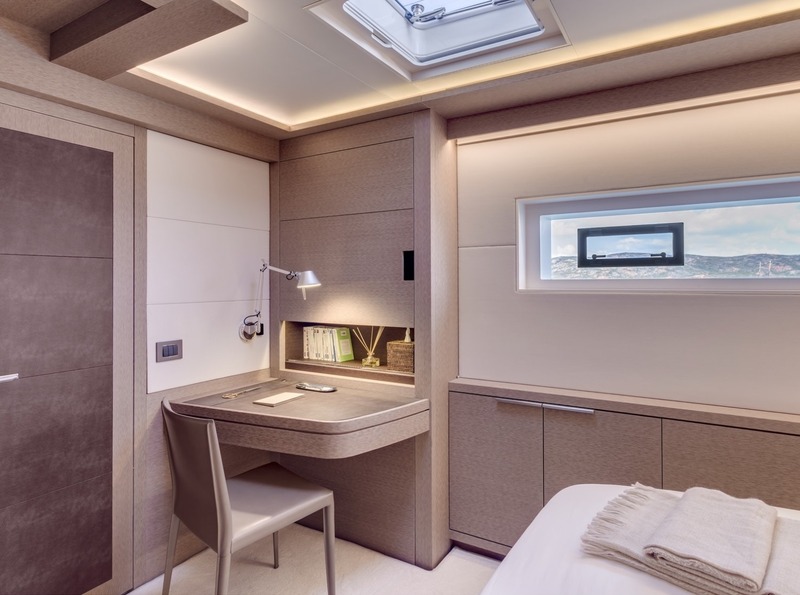 There are two seating areas along the starboard side, with the mizzen mast dividing the space and providing shelving for books, magazines and other items. 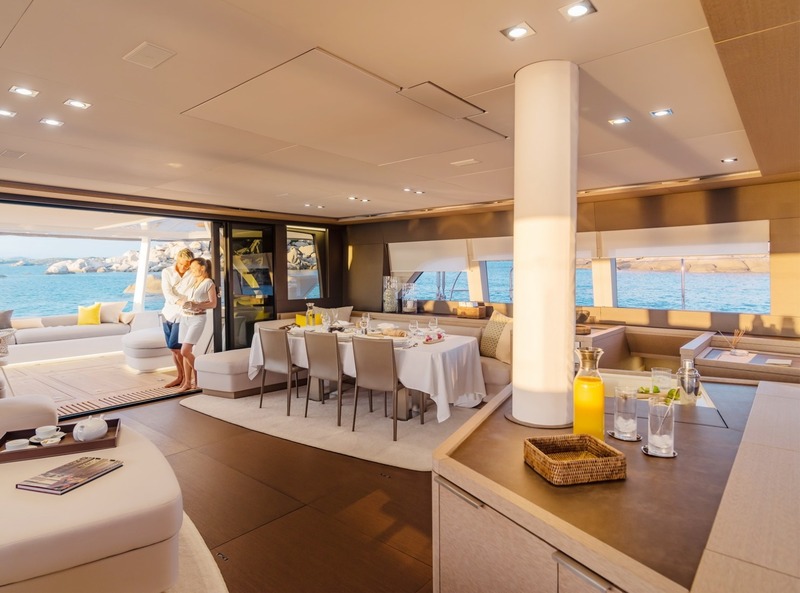 On the port side, the formal dining area is situated close to the windows and the aft sliding doors for fresh air, excellent lighting and spectacular views while the bar has a wonderful selection of drinks for every occasion. 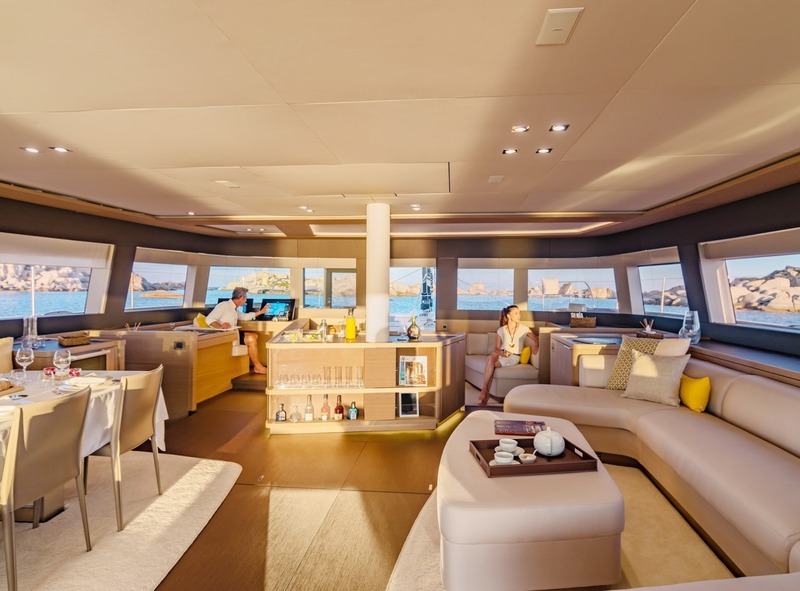 Enjoy the elevated views of the flybridge and whale-watch or spot dolphins, manta rays and sea turtles while spending time on the comfortable seating along the aft. 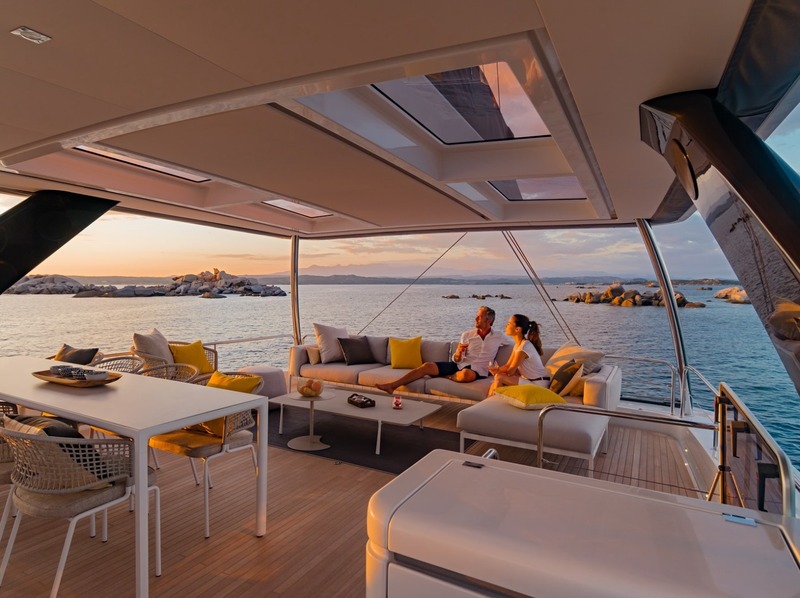 There is a second alfresco dining option close to the helm for covered dining with impressive views of every destination, regardless of the time of the day. 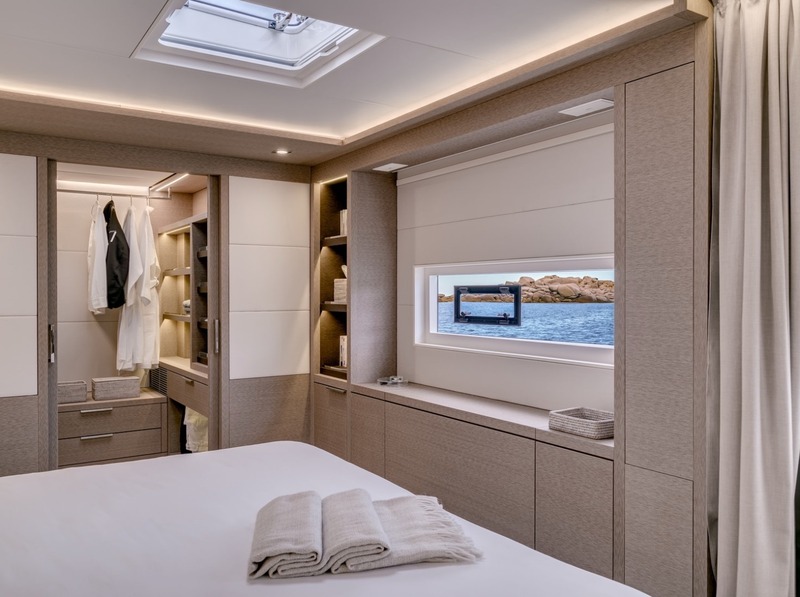 The onboard accommodation is designed to sleep eight charter guests and all four cabins have skylights as well as en-suite facilities. 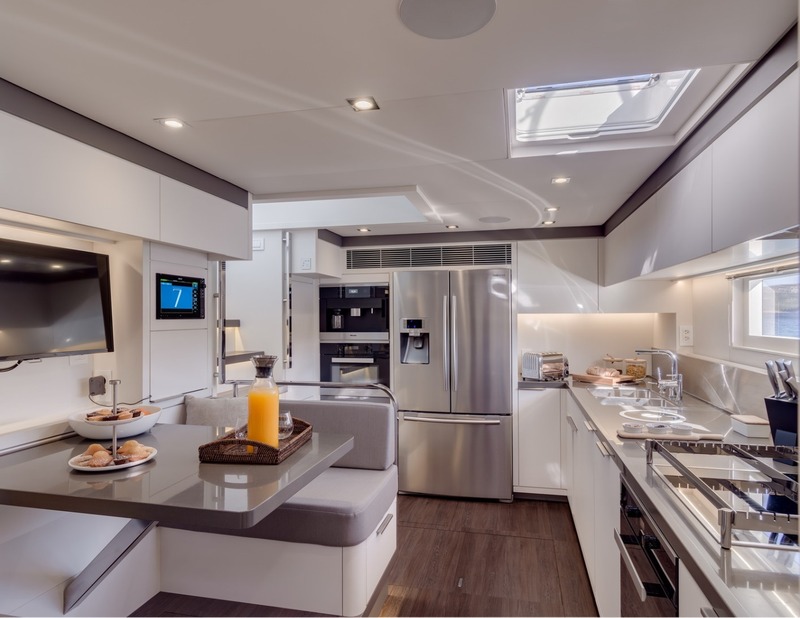 The accommodation consists of 1 Master suite, 2 double cabins and 1 twin cabin suitable for adults as well as children. 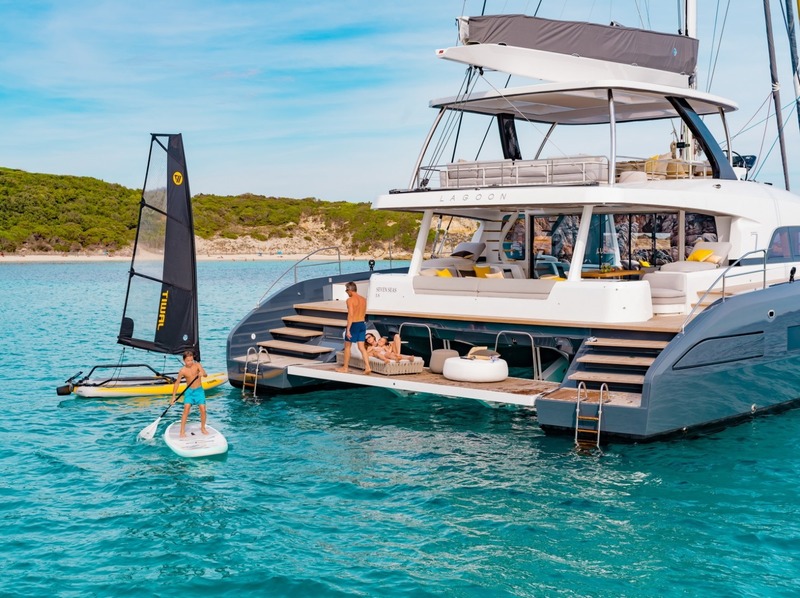 "People more and more are realizing the advantage of the multi-hull platform for cruising. 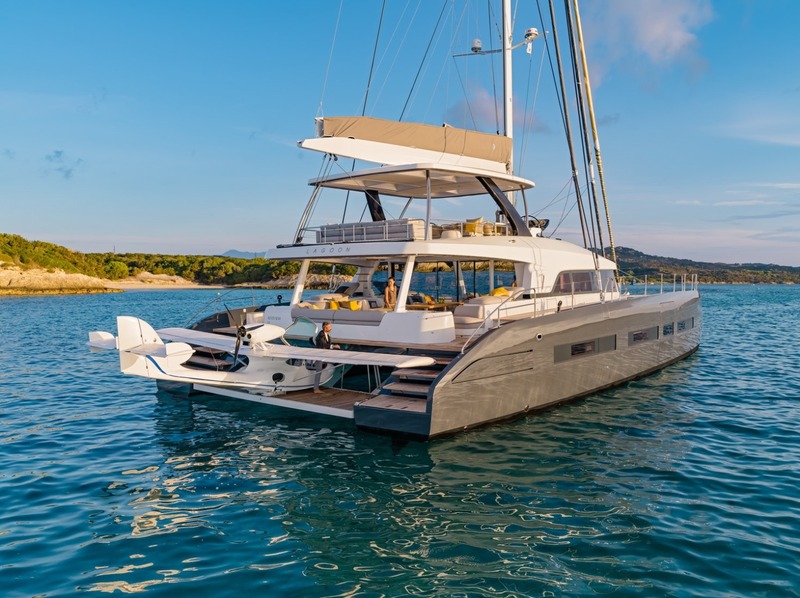 It’s stable, it offers a lot of space, and it goes fast" - "The success of a boat, of a design, is really tied to the relationship you have with a customer. 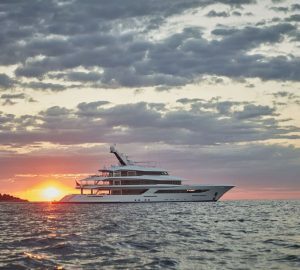 The best yachts that we have designed were also nice human relationships. That’s been true since the beginning. 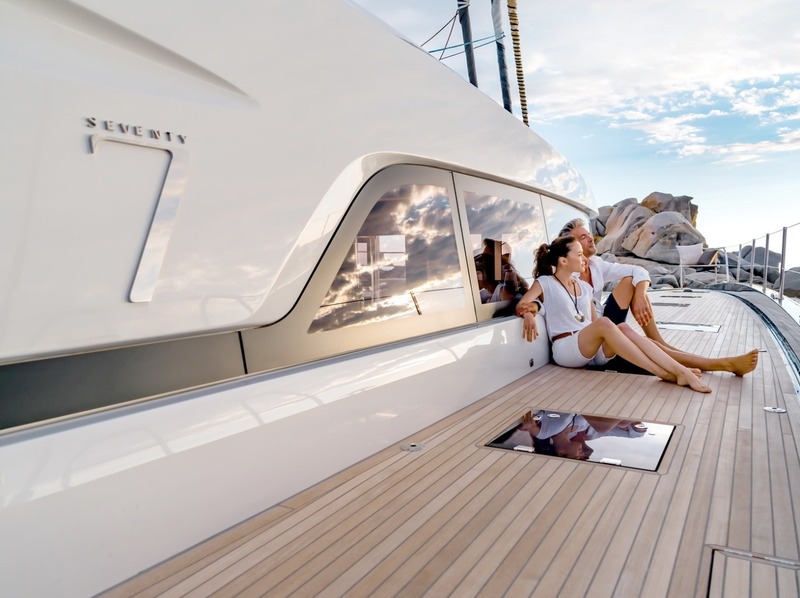 When you get on very well with people, you feel better about what they really like, how they will sail, how they will enjoy the boat, and that proximity leads to a boat naturally that you like." - Marc Van Peteghem (and Vincent Lauriot-Prévost) founded VPLP which is responsible for designing the world's most innovative racing boats and largest luxury catamarans.